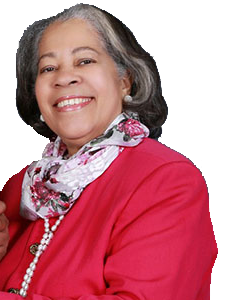 E. MONK, FOUNDING MEMBER OF UWCM HAS BEEN DESIGNATED HISTORIC PERSONAGE ON MARCH 2019! We believe in an inclusive, violence-free, and gender-equal society. Find out more about how we support. We support girls’ and women’s education by providing scholarships. We also have a good time together. It is with honor and a sense of duty that have accepted the privilege to become your 42nd president. Since 1927, the UWCM has been led skillfully by pioneering women whose work has molded the foundations for our actions. Because of their contributions in bridging educational gaps, their legacy shines upon us like a beacon. Those who know me well, often refer to me as a fearless, unapologetic and resilient fighter with no limits to my commitment to equality and justice. It is with these qualities that I shall endeavor diligently in my mission to continue their work through leadership, collaboration, and innovation. Through local, national and international networks, we foster the development of friendship and collaboration between women eager to share experiences and interests. Through links with CFUW and GWI, we advocate locally, nationally and internationally for a gender-equal society where girls and women enjoy economic empowerment through the pursuit of, and access to, quality education. Through our belief in the importance of lifelong education, we enable our members to develop and use their expertise to become agents of change by influencing policies that improve the status of women and girls in all areas of life. Elit sed do eiusmod tempor incididunt ut labore et dolore magna aliqua enim ad minim veniam quis nostru.